PRAYER PROMPT ••• Today is our 339th Prayer Prompt. As the one year anniversary approaches, I can hardly believe what He has done in the last year. Forgive me for repeating myself, but I figured these would fizzle after a month. I didn’t see this as an ongoing project. Every morning, I continue to be reminded not to put my limits on the Holy Spirit. He is driving all of this, and nothing is impossible for Him. I can’t foresee what His plans are but He knows and that works for me. However, I was reminded last night of how our enemy wants to destroy the Holy Spirit’s plans. If you’ve visited my website, you may have seen that I’m a member of Compel. Compel is a branch of Proverbs 31 Ministries and it’s designed for Christian writers who want to develop their skills. It hit home in a big way. And trust me when I say… Satan did not want me to hear that message. I’ve never had so many technical issues trying to play a video on my phone! But God’s will always prevail, no matter how Satan attacks. And make no mistake about it – he has attacked me this year. He has hit me where I’m most vulnerable because he does not want me to continue writing these Prayer Prompts! He wants me discouraged and full of doubt and insecurity. But once again, Satan demonstrates his arrogance and underestimates the power of Jesus. This isn’t about stopping me! I’m just a tool in the process because these aren’t about me! 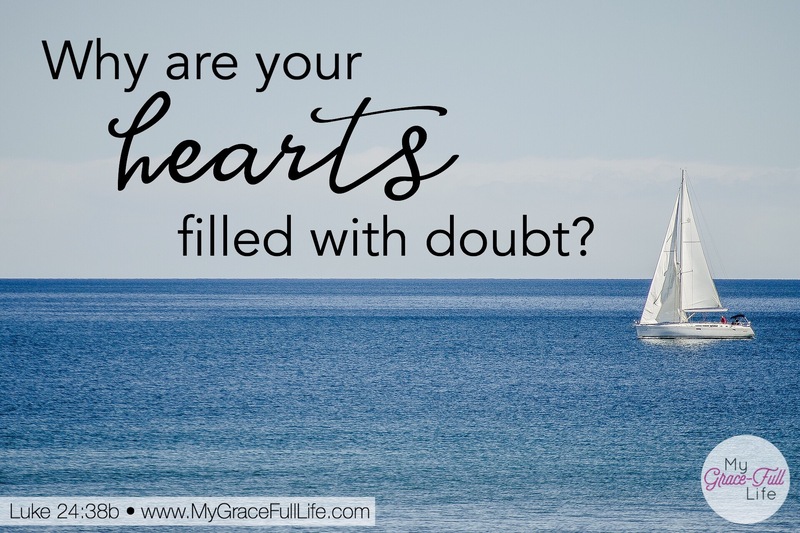 Satan loves to sow seeds of doubt in our hearts but when we keep our eyes focused on Jesus, we can accomplish anything! When Peter came out of the boat, he only started sinking when he took his eyes off Jesus (Matthew 14:22-33). So as you look on the horizon, it’s entirely possible for you too to hop out of your boat and run on the water to meet Jesus – as long as you keep your eyes trained on Him (no matter what Satan throws at you). You have more power than he does because you have Jesus. And the Holy Spirit can use you in countless ways… ways you’d never have believed possible! Today, as you pray, thank God for the work He does in you. Ask Him to help you stay focused on Jesus, and prevent you from being discouraged by spiritual attacks. Ask Him to work in you and through you and in ways you never dreamed possible. Thank you for another moving post. You have a gift. You are building an army of believers and furnishing our armour via the Holy Spirit. Your prayers open my eyes, heart, and soul everyday!